Follow this advice from a cybersecurity expert to help protect yourself and your clients. As tax-filing season kicks off, it’s important to be on the lookout for tax scams. For the past few years, the Internal Revenue Service (IRS) has issued a Dirty Dozen list of tax scams. In 2018, the list included phishing, fake charities, and return preparer fraud. The Equifax and Marriott data breaches may also lead to an uptick in tax fraud this season. Here are some ways you can protect yourself and your clients. We encourage you to share these tips as appropriate. Even though tax returns are not due until April 15, we recommend filing client tax returns as soon as possible to get ahead of potential fraudulent filings submitted on your behalf. Traditionally, tax advisors wait to file close to the deadline if a payment is due, but it may behoove you and your clients to file early, regardless of whether there is a payment due, to help prevent fraudsters from filing before your client does with a fake return. Fake names and IRS badge numbers. Look out for common names and surnames. The IRS toll-free telephone number can be spoofed on caller ID. Telephone scammers may follow up with an email containing a link to a fraudulent website that is often malware-infected. Background noise that sounds like a call center. Scammers may threaten victims with jail time or driver’s license revocation, then hang up and call back claiming to be the local police or DMV while also spoofing the numbers of these departments on caller ID. Foreign language use and claims that the call is from a foreign embassy investigating tax nonpayment. For more information, see the IRS’ resources on identity theft prevention and detection. Let your clients know how they should expect to hear from you and how to confirm that it is you or your firm that is trying to obtain information from them. Advise them that if they aren’t positive if it is you or your firm, they should call back to the number you’ve provided them, so they can be positive of identity. We urge caution when responding to requests from purported clients, spouses, or family members of clients and employees (both your own and employees of businesses owned by clients) for K-1 or W-2 forms or copies of filed taxes, as these requests may be fraudulent. Be sure to password-encrypt K-1, W-2, 1099 and copies of tax documents when sending them via email and do not distribute the password via email. We recommend that you use password-protected portals for transferring such documents. “Dumpster diving” is more common than 1nost believe. We strongly recommend that you use a modern, crosscut shredder to dispose of sensitive documents that contain personal data, including any disposed of tax forms. Share this information with clients, staff, and colleagues. Knowledge is the best weapon against scammers. If you or someone you know has been the victim of identity theft or a fraudulent wire transaction, reach out to your local police department and/ or the FBI for assistance. Raj Bakhru, CISSP, is a partner at ACA Aponix, the cybersecurity and IT risk division of ACA Compliance Group. Beginning April 1, everyone is welcome to visit our office and drop off items in the lobby. 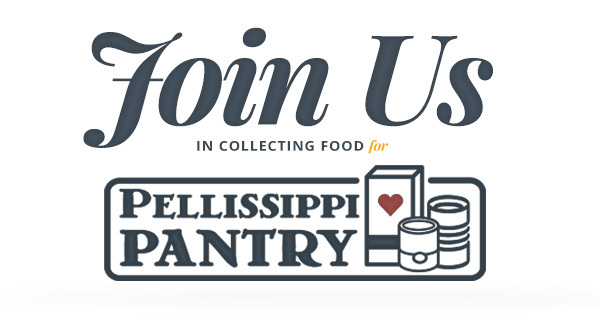 Started in May 2016, Pellissippi Pantry addresses the needs of students experiencing food insecurity. The Pantry serves an average of 120 participants a month (295 household members) and provides a three- to five-day emergency supply of food for each member of the household. Prepackaged food, along with fresh produce from the pantry’s organic garden is delivered to participants throughout the year. Reliability of Sources The articles and opinions expressed in this document were gathered from a variety of sources, but were reviewed by Head Investment Partners,LLC prior to its dissemination. All sources are believed to be reliable but do not constitute specific investment advice. In all cases, please contact your investment professional before making any investment choices. Return on Products The return assumptions are not reflective of any specific product, and do not include all fees or expenses that may be incurred by investing in specific products. The actual returns of a specific product may be more or less than the returns used. The Standard & Poor’s 500 (S&P 500) is an unmanaged group of securities considered to be representative of the stock market in general. It is not possible to directly invest in an index. Financial forecasts, rates of return, risk, inflation, and other assumptions may be used as the basis for illustrations. They should not be considered a guarantee of future performance or a guarantee of achieving overall financial objectives. The return and principal value of the investments will fluctuate so that, when redeemed, they may be worth more or less than their original cost. Past performance is not a guarantee or a predictor of future results of either the indices or any particular investment. Opinions Opinions expressed are subject to change without notice and are not intended as investment advice or a solicitation for the purchase or sale of any security. Please consult your financial professional before making any investment decision.